With the holidays approaching, it’s important to understand the interconnected relationship between nature and culture. Visit the UCLA Mildred E. Mathias Botanical Garden on Friday, Dec. 7, to learn about the origins of some holiday traditions and see how important plants are to the spirit of the season. A reception will follow the presentation. The event, which will be from 4:30 to 6:30 p.m., is free and open to the public but reservations are required. 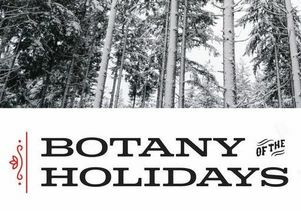 Digital flyer for "Botany of the Holidays."